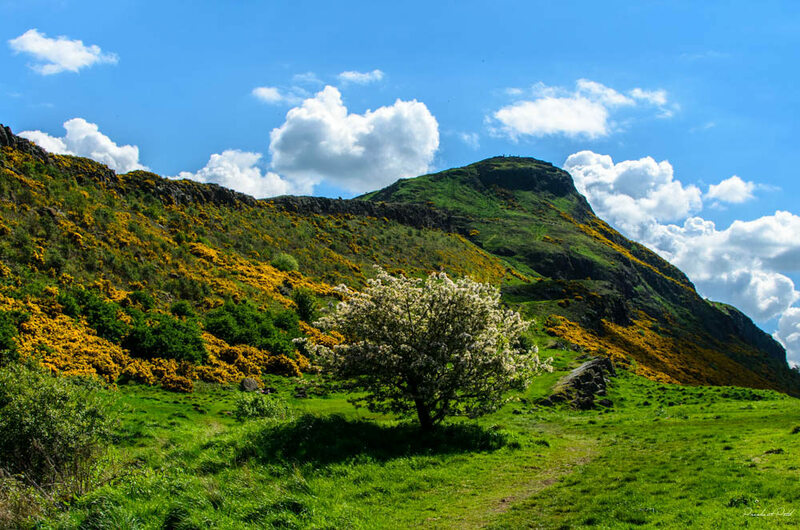 From menacingly intriguing hills to impressive glens, intimidating ridges, and handsome basalt cliffs, the wild 650 acre patch of Holyrood Park is associated with the royal palace of Holyrood House. This expansive mass of land was once a former 12th-century regal hunting estate and is also a royal space. Depending on the reigning monarch, it is often referred to as the Queen’s or King’s Park. In 1541, James V constructed a stone wall to act as a barricade around the area. Today, this glorious place is free from walls so that people from Edinburgh (and beyond) may roam as they please. Before visiting this rugged park, it is useful to have your bearings about you. First off, it is safe to say that Arthur’s Seat sticks out like a sore thumb. This gargantuan lump of rock is a geologist’s dream and forms the main group of mountains in the city. Always begging to be climbed, this beauty makes for the perfect adventure. Unsurprisingly, some of the most glorious views of Edinburgh can be spied from a summit of 822 feet. Hillwalkers tend to meander in every direction, however, the easiest route is from the grassy slope on the east side by Dunsapie Loch. Arthur’s Seat is steeped in history and speculations state that it is one of the potential locations for Camelot, the castle of warrior-chief King Arthur. 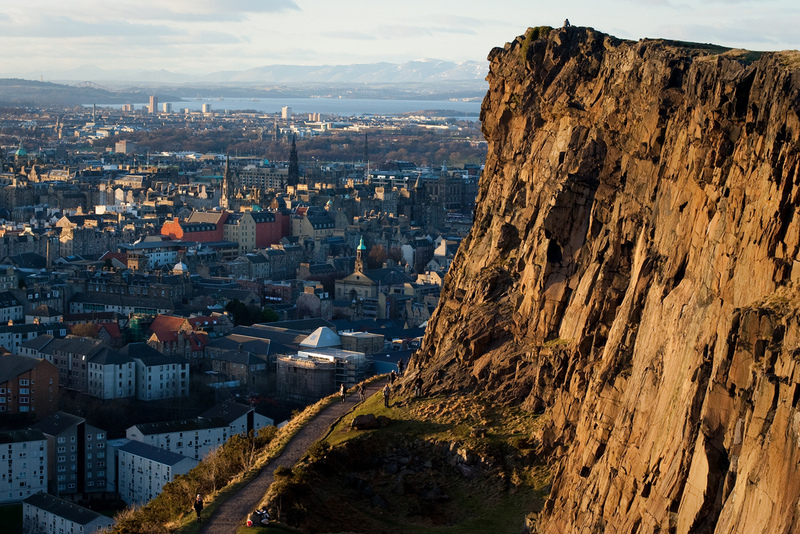 Those who have a penchant for the more thrilling moments in life may very well be infatuated with Salisbury Crags — a conglomeration of cliffs that sit atop a subsidiary spur of Arthur’s Seat. Dolerite and columnar basalt make up these impressive jagged wonders. With this in mind, arty folk may like to try their hand at getting that perfect shot of Samson’s Ribs. Many a rock climber has tested their might on these formidable faces over time. Nowadays, human spider monkeys can only clamber up the designated area of the South Quarry. At the south of Queen’s Drive stands the shallow man-made pool of water known as St Margaret’s Loch. This spot appeared in 1856 under the order of Prince Albert, who adored the area and constructed plans to improve the surroundings of the royal residence. In times gone by, boats have been known to bob around. 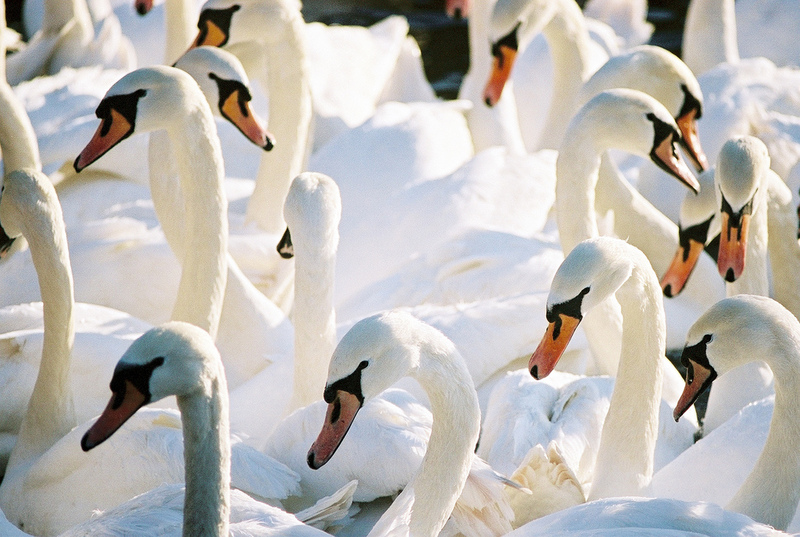 Today, gaggles of giggling geese can be spotted wandering the area alongside chattering ducks and an army of slender swans. The swans that call this loch home are a popular attraction for passers by who watch them gracefully glide across the water. 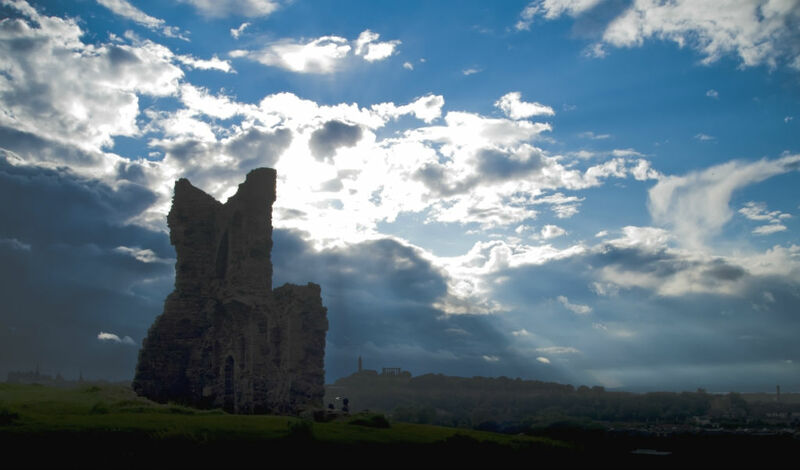 Park-goers cannot help but be fixated with the ambiguous ruins of St Anthony’s Chapel, that sit alluringly amongst the splendor and ruggedness of the sprawling park. Although the lines are hazy surrounding the story behind this historic chapel, it is thought to have been erected no later than the start of the 15th century. Interestingly, in 1426, the Pope made a donation towards the repair of this Holy building. Today, only the north wall exists (in fairly decent shape), in addition to a sliver of the west wall. According to records dating back to the 18th century, this chapel was an aesthetically sublime piece of Gothic architecture. While exploring the ruins of this curious construction, perhaps look for clues to help tell its true tale.